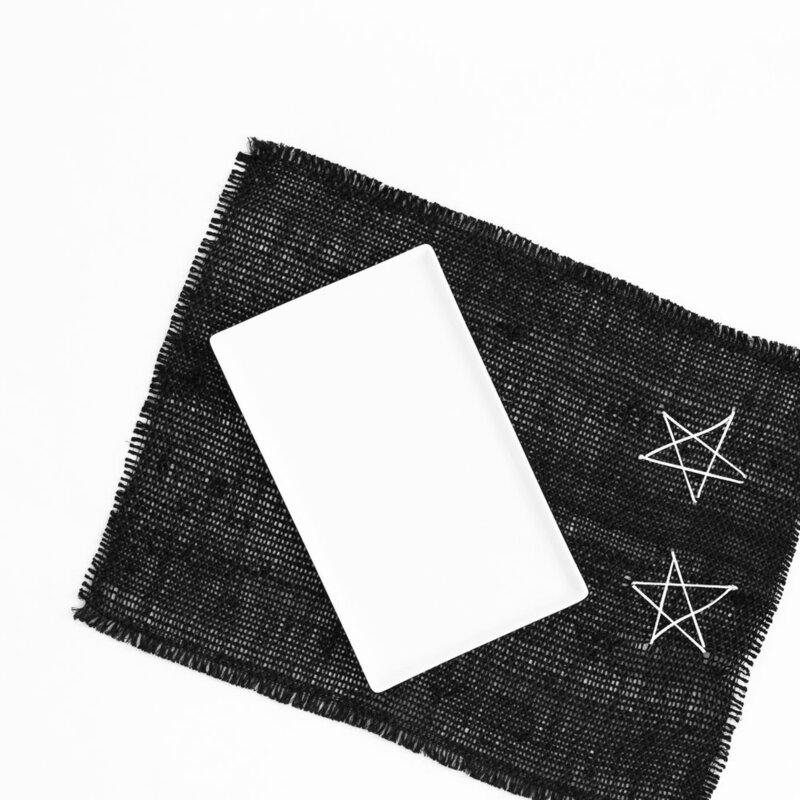 DIY Stitched Star Placemats | Winter 2017/18 | MeetMinnie. Not much planning necessary when it comes to this project. in fact, this project has an unplanned + imperfect look to it that we adore. To make, simply snip a long piece of cord or yarn, double knot the end and begin stitching a star just as you would draw it. When finished, knot off end and move to another star. Repeat as desired. Spot clean.